Bewakoofiyaan First Weekend collections were very much overshadowed by Queen’s Box Office dominance. The movie faces stiff competition at box office with Kangana Ranaut’s Queen. Noted as just another average by critics does not works in favour of bewakoofiyaan either. Bewakoofiyaan first sunday was expected to be plain and so was it. Much because of Holi at the blocks tomorrow, the occupancy levels remaining low throughout the day nothing was more was expected. Talking about the movie. 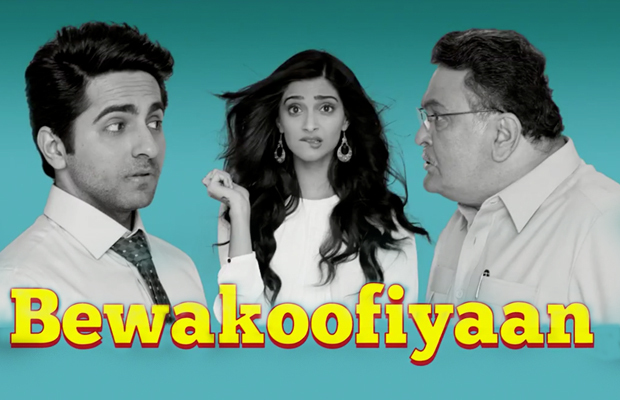 Bewakoofiyaan is Sonam and Ayushman’s stylish flick that doesn’t carries enough substance to give any deeper meanings. However, Bewakoofiyaan is still a good for dates flick that tries to explore a bit and keeps you interested through Rishi Kapoors’ performance. You may share few good laughs in Bewakoofiyaan but don’t expect anything special. Bewakoofiyaan has not yet shown anything great at box office in terms of collections. As Queen gets preferred over Bewakoofiyaan, It does seems bewakoofiyaan would not make much more than bewakoofiyaan at box office.